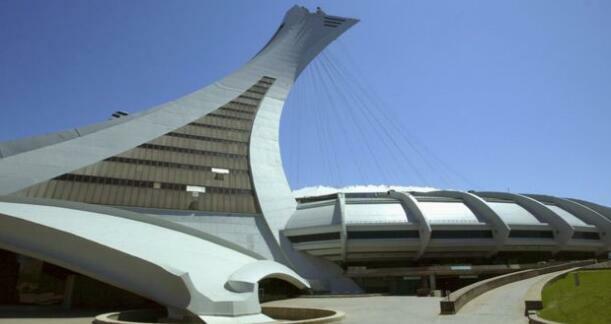 Montreal is temporarily opening its Olympic Stadium as a shelter to host a sudden increase in asylum seekers arriving from the US. More than 4,300 people have crossed into Canada seeking refugee status since January. The majority of those have crossed into the province of Quebec, straining resources of government and community groups. The stadium received the request for space last Friday. Asylum seekers began to be moved into the building, one of Montreal's most well-known landmarks, on Wednesday morning. Canada has seen a significant increase in the number of people crossing illegally into the country between official points of entry and seeking asylum. Over 3,300 people crossed into Quebec between 1 January and 30 June. Francine Dupuis, of Praida, a provincial programme for the reception and integration of asylum seekers, told the BBC that another 1,200 people crossed into the province in July, around 90% of them from Haiti. She said the province has experienced waves of people seeking refugee status before - most recently Syrians crossing in the spring - but that last month's numbers are unprecedented. "Usually it comes and goes and it stabilises quite fast," she said. "In this case what we are fearing is it might not stabilise." 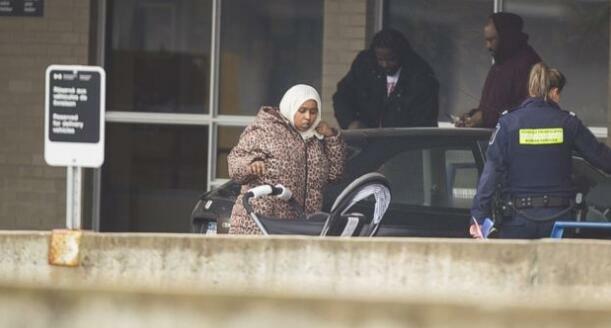 Now, relevant agencies in Quebec responsible for the welfare of migrants when they first arrive are scrambling to find beds and other resources. Praida takes care of housing and the other immediate needs of refugee claimants for around two weeks after they arrive in the province and then continue to offer mental and physical health services for a few months. The Olympic Stadium will be used as needed until autumn. Other centres have also been opened across the city. Manitoba and British Columbia have also both seen an influx of hundreds of asylum seekers. Most of those who cross illegally have been quickly apprehended by the Royal Canadian Mounted Police and other law enforcement agencies. Once in custody, they are identified, searched and screened. If they are eligible to make an asylum claim, they are allowed entry and referred to the Immigration and Refugee Board of Canada. Prime Minister Justin Trudeau has been under pressure to do more to secure the border amid concerns about the influx. Calls have been made to suspend the Safe Third Country Agreement, under which refugee claimants are required to request protection in the first safe country they arrive in. It is a policy meant to better manage refugee claims and to avoid so-called "asylum shopping" between countries. But it is also among the reasons the asylum seekers are avoiding trying to come to Canada at official ports of entry. So far, Ottawa is standing behind the agreement, which came into effect in 2004. Quebec officials will be holding a press conference on Thursday.